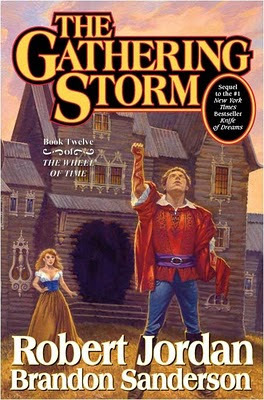 I've been reading the Wheel of Time fantasy series since high school. Although I am not a huge fantasy genre follower, this series is fantastic. Tragically the author, Robert Jordan, died before he could finish all the books. For several years now his fans have been eagerly awaiting the next installment under a new author, Brandon Sanderson, who was chosen by Mr. Jordan's wife to finish off the series. It was well worth the wait. I am a very slow reader and still finished the 784 page book in 2 and a half days. If it is not blasphemous to say so, I think Sanderson does an even better job of pacing the story than Jordan, who had a tendency to drag things out, ever did.